Hi, friends! Happy Thanksgiving week! 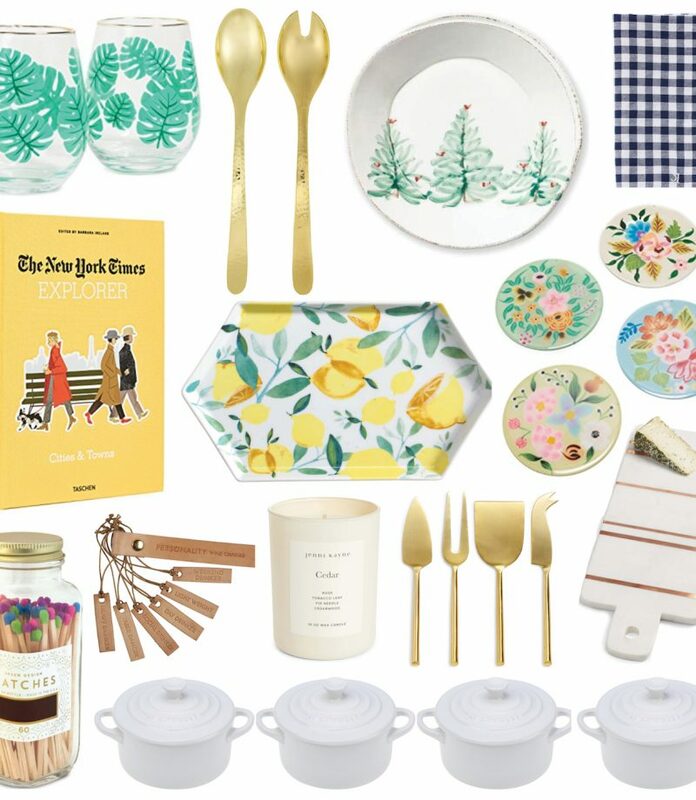 I had some grand plans to launch more gift guides last week—but my birthday was Thursday and I decided to give myself a pass to do some celebrating and get through a busy week at work. Today I wanted to share with you the things I love for travel in case you need any gift ideas for the jetsetter in your life. Over the past few years, I’ve traveled a lot for fun and have become quite the efficient packer—especially since I always seem to wait until the last minute to do it! The items below are the things I reach for time and time again when I’m leaving town—I promise each item has a purpose and all make my life easier when traveling. The last thing I want to do on a trip is overpack since it’s a pain to carry around unnecessarily stuff, especially if you’re covering a lot of ground. It’s no secret that my favorite carry-on is the Delsey Chatelet 21″—this is the suitcase I reach for on most trips and you can read my full review of it here. When I’m going on a short weekend trip by car, I usually skip the rolling suitcase and use this Sole Society faux leather duffle bag—you really can’t beat the price! When it comes to keeping my suitcase organized, I love this Mark & Graham leather tech envelope, especially for work trips. These five-piece packing cubes also make staying organized on the go easy, and this set comes in multiple colors if blush doesn’t speak to you. For personal safety reasons, I always make sure that my phone has a charged. When you’re traveling, you’re not always guaranteed an outlet, so I always make sure I have my own backup chargers on hand. This power up luggage tag from Mark & Graham is a great way to make sure you never leave home without a spare charge and this Yoobao portable charger comes with me whenever I leave my apartment. The latter holds enough power to charge your phone up to four times and is super lightweight. My sisters gave me this polaroid camera for Christmas last year—you can read my full review here. It’s been so fun to take this on trips throughout the year, and because it holds a mini SD card, I also have a digital copy of any of the polaroids I take! I’ve gotten ready in a lot of hotel rooms with friends where we’ve had to stuck someone’s phone in a red solo cup to amplify the sound. So, I recently picked up this bluetooth speaker, which is great to have around the house, but also small enough that it’s easy to throw in my suitcase on a trip. Added bonus, it’s only $35. I run a straightener through my hair everyday and always pack one with me when I’m heading out of town. This compact flatiron lives in my suitcase so that it’s already packed and ready to go and I don’t have to remember to unplug the straightener I use everyday and throw it in my suitcase as I’m heading out the door. I recently picked up my first pair of All Birds Tree Runners and I am obsessed! These are the perfect sneakers for a travel day and they are machine washable, meaning if they take a beating, they’ll look like new in no time. Nothing makes your passport easier to find in a stuffed personal item is a cute carrying case. These are hands down the best travel makeup brushes—they come in a convenient carrying case and are so high quality. I was given these as a gift, but they are definitely worth the investment! I used to be a doubter on the concert of an emergency kit, but my coworker at work has one, and we literally request reinforcements from her all the time, so I bought one to keep in my suitcase to cut down on random (and often, expensive!) purchases on the road.